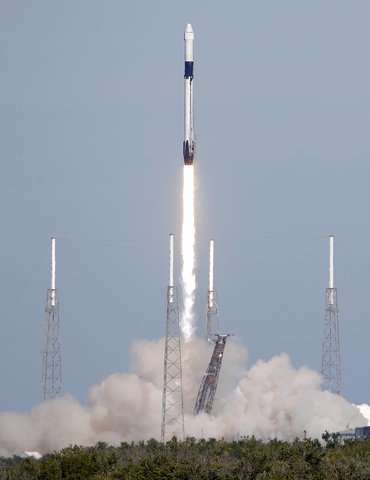 Christmas turkey rocketed toward the International Space Station on Wednesday, along with cranberry sauce, candied yams and the obligatory fruitcake. 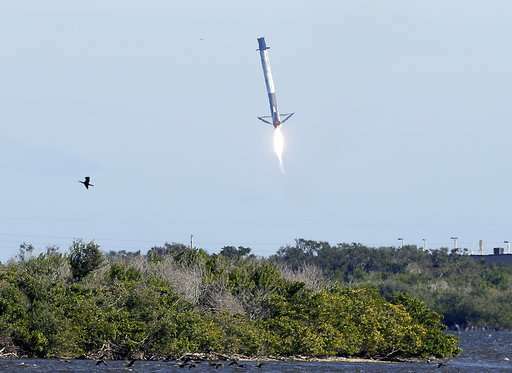 SpaceX's 12 previous ground landings—dating back to 2015—all were successful. 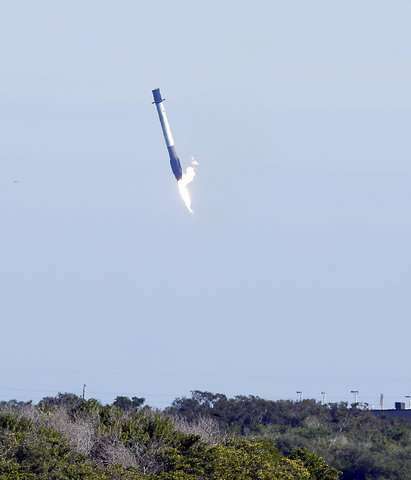 Altogether, the company has recovered 32 boosters following liftoff—33 once this one is towed back, said Hans Koenigsmann, a SpaceX vice president. He did not know if it could be reused. 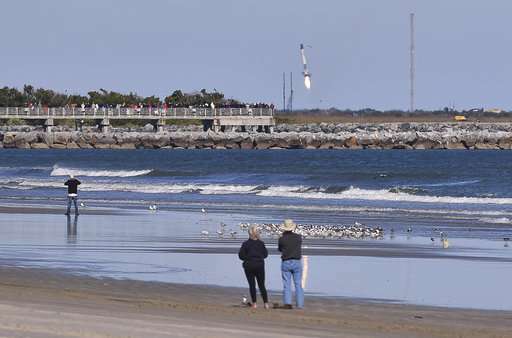 "What a great day for a launch," said Kennedy Space Center director Bob Cabana. Twenty years ago this week, Cabana commanded the shuttle mission that carried up the first U.S. part of the space station . There are no atheists on board the ISS. 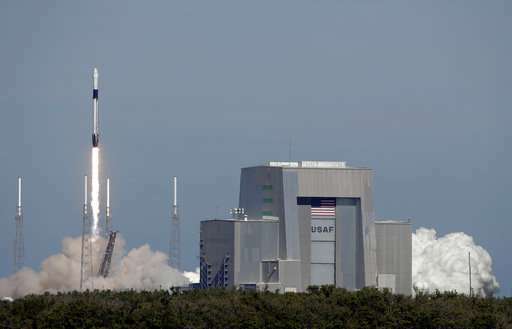 SEU> There are no atheists on board the ISS. I have "other" words, to describe fruitcake. One thing about fruitcake is that it never goes bad, is always edible and goes very well with a spot of hot tea laced with a bit of brandy. Wrapped and sealed tightly in a tin fruitcake could still be edible and taste good after a thousand years. They could send it to Mars and it would still be well preserved through aeons, even under the harshest of conditions in its tin. But I loved plum pudding and can't find it here in the States. Very true - they ARE closer to Him than ordinary humans are - and this Christmas season even more so. As they look out of the ISS windows, they see the majesty and beauty of God's creations - the Earth and all that is on, in, and under it. The protective magnetic fields, the clouds of rain, the oceans filled with Life. As they look at each other up there on board the ISS, they also see God's other creations - humans. How can one not believe? Seriously, fruitcake? Pieces of cherry marinated in kerosene? I suppose it will be OK after the freeze-dried turkey portions. "One thing about fruitcake is that it never goes bad, is always edible and goes very well with a spot of hot tea laced with a bit of brandy." You're right it never goes bad. It starts that way and is never edible. If you want to have it with tea, lace your tea with cyanide. It will help the cake go down. The secret of eating fruitcake, no matter how old, is the airtight wrapping and container that will keep it fresh. The fruit in it are desiccated enough to preserve the taste/texture. It is a very old trick that your human ancestors learned to use after they evolved from their monkey roots (DNA) and made pottery out of clay that would be airtight enough for honey and other foods. The 'old' fruitcake that you may have eaten most likely were not wrapped very well and air had gotten into it. And you KNOW what that stuff floating in air is - bacteria, molds, fungus - the very same stuff that you don't want in your lungs. But they get into food/fruitcake sometimes. My parents used to put brandy on it. I figured it was so we'd get drunk and not notice how nasty it is. I was actually served spam on one memorable Thanksgiving. It scarred me for life. When I saw the Monty Python spam skit I passed it on to those responsible and got a lot of schitt for it. I have actually had someone try to get me to eat spam with cloves stuck in it just like the picture on the spam tin. You can imagine my response, but so you don't have to, I got in the car and went and got a Burger Thing hamburger and some fries. Which at least masquerades as food. Christmas turkey and other good stuff were delivered. Docking was accomplished and everyone on board the ISS is ready to feast on this December the 9th. Don't know when they will be opening the spread, but their eyes are glazed over and can't hardly wait. A prayer of Thanks will be said by the participants. SpookyOtto needs you and Stumpy to give him love and loyalty as he is feeling abandoned by the two of you. Theghostofotto1923 was king of physorg for many, many years before you two began commenting and made him feel so threatened. I have no clue as to why he has been calling me "pussycat eyes" "Obamasocks" and other user names which I would never have thought of calling myself. I believe SpookyOtto is quite insane, but perhaps you and Stumpy can do or say something to bring him back to reality? SpookyOtto seems to have such a hatred for the Jews, and seems to have an affinity for Germans and German words - that I tend to believe that SpookyOtto is a self-hating German Jew. I could be wrong, so I will continue to read many years' worth of physorg articles and comments to find out what is wrong with otto. He doesn't seem to understand that the word 'diaspora" means "dispersion", by definition. Please see what you can do to give him aid and comfort, yes?